Hi, I'm here again. Sharing a layout that I made for Imaginarium Designs. 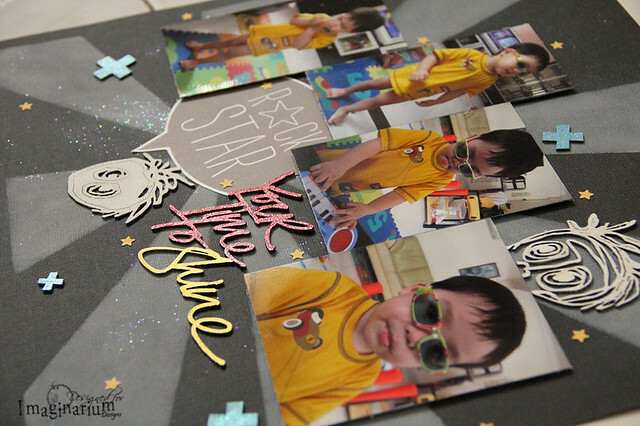 This month's theme is focused on Boys! So I made this layout for my boy. 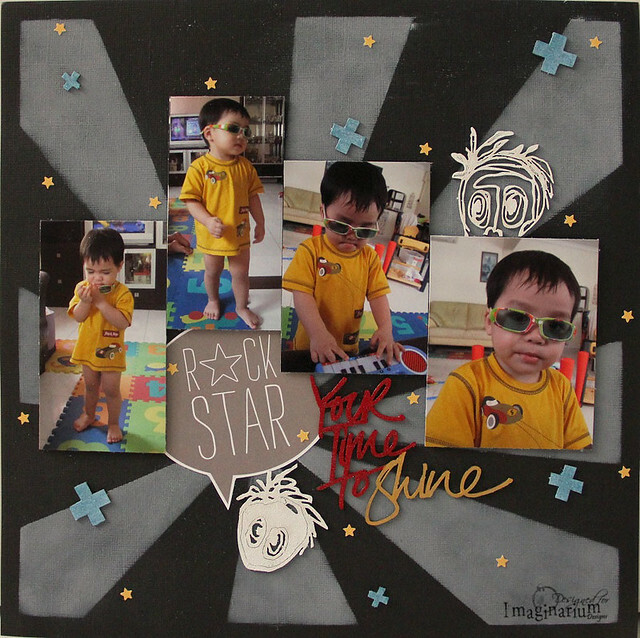 It documented his "rock star" moment when he was younger. Love his cheekiness. Isn't my boy cute?? LOL. I used white chalk ink over a stencil to create the rays. And I randomly rub some glitter glue over the whole background. But think its not that visible to capture in camera. Here you can catch a glimpse at the glittery background. 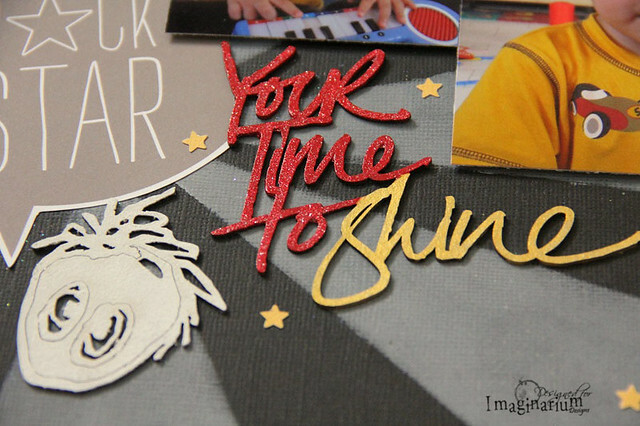 For the chipboard title, I painted the first 3 words with red acrylic paint and red glitter paint and the word Shine with gold paint. For the faces chipboards, I simply gesso them. For the cross chipboards, I painted them with blue acrylic paint and blue glitter paint. 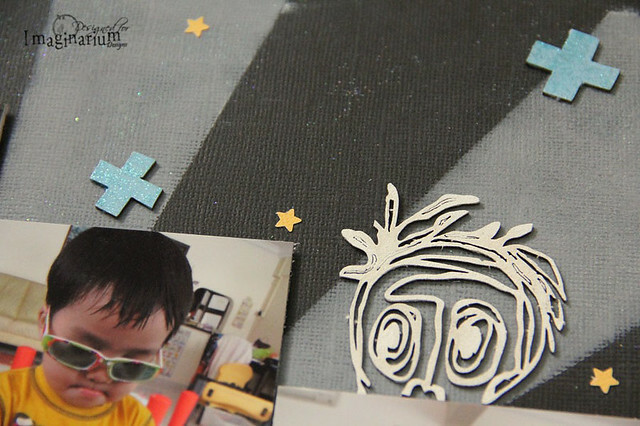 The glitter paints dried transparent with respective color glitters hence there is a need to paint the chipboards with the same acrylic paint colors first. Love the shine on them. I also punched some tiny yellow stars and adhered them randomly across page. The chipboards I used today are all new designs by Imaginarium Designs. Hope you enjoy reading about my project. 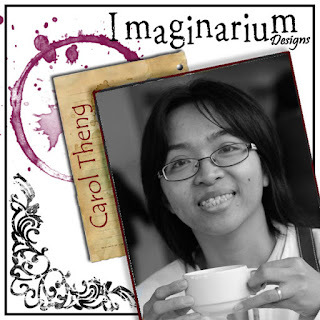 Do hop over to Imaginarium Designs to have a look at what my fellow team members have created. Have fun.